I tried this mask on the 4th of March 2014. 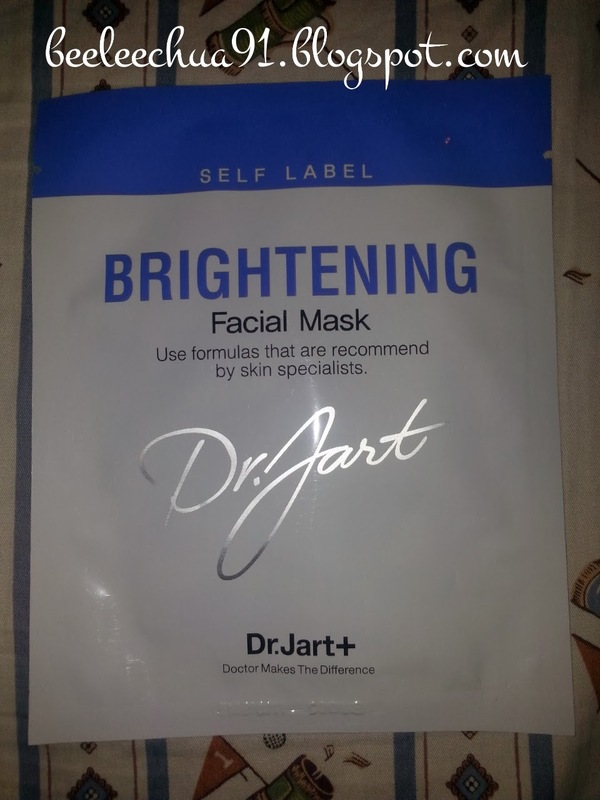 It is called Dr. Jart Self Label Brightening Facial Mask. Tried before?? I have not exactly researched about this product before and have not tried any of its product so far. My sister got it as free gifts after purchasing a certain amount at a Sasa outlet. Front view of the packaging. Back view of the packaging. It is excellent for all skin types, especially complexions with dark spots and uneven color. This formula diminishes the appearance of uneven skin tone and fine lines as it energizes and rehydrates skin. A luxuriously to bring concentrated brightening and hydrating benefits to skin. 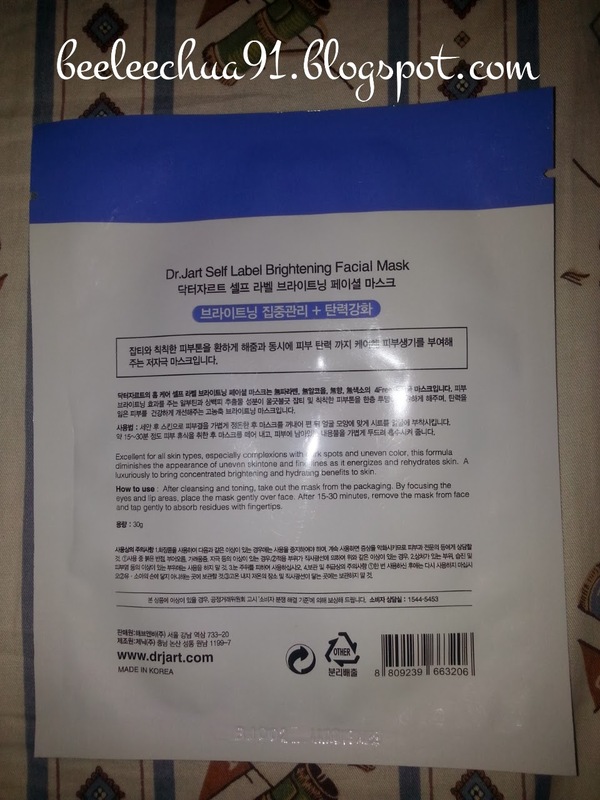 After cleansing and toning, take out the mask from the packaging. By focusing the eyes and lip areas, place the mask gently over face. 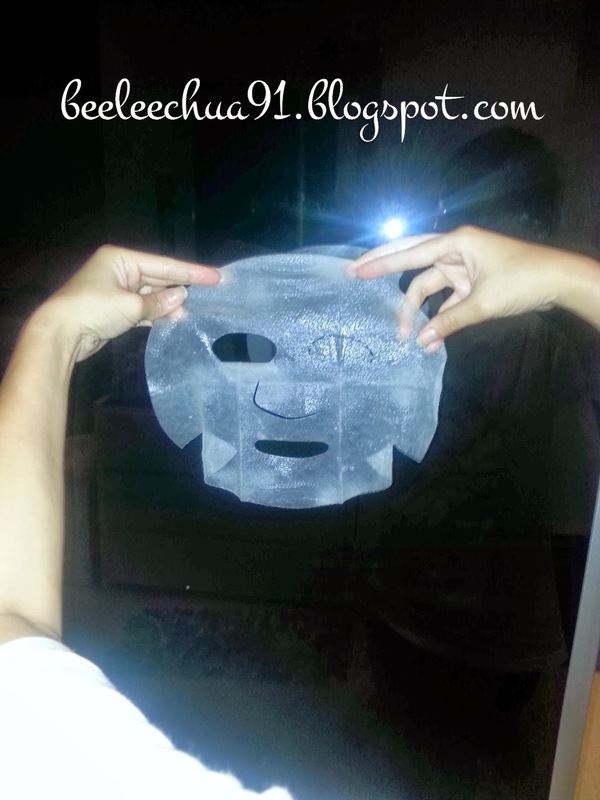 After 15-30 minutes, remove the mask from face and tap gently to absorb residue with fingertips. I also feel that my fine lines were slightly reduced although my face is left oily and shiny. After I cleansed my face the next morning, my face feels so smooth. :) I cannot be sure of the uneven skin tone function but it left a rather good impression for me. Pros- Much essence in packet of mask. - Mask won't dry out upon 15 minutes resting on my face. - Rehydrates and brightens the face. Cons- The oiliness sensation is still there even after you tap like a forever.